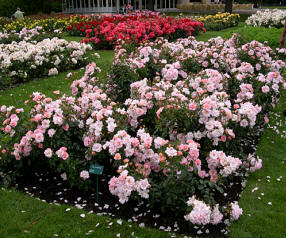 Today’s gardeners are no longer interested in reading how difficult roses are to grow. You know the drill. Spray with 4 different chemicals alternating weekly, feed smelly concoctions sure to drive your dog way, prune back to a five leaflet leaf set, outward facing bud-eye, while standing on one leg wearing red underwear – and only during a lunar eclipse! If your publication is looking for an article with a fresh and original take on using roses in the garden look no further. We can help. The growing methods we teach and talk about are easy to understand and include a healthy dose of common sense. Please contact us via email and we can discuss what you are looking for and our rates. In the meantime you can read samples of our writing in the “Articles” section of our website. 2008 – The American Rose. Official Publication of The American Rose Society. “A Gentle Plea for Order”. Rose Classificaiton. 2006 – Rosa Mundi. Heritage Rose Foundation. “Activities of the Specialized Conservation Committee”. 2004, Feb – Perennial Magazine. Roses for the Landscape. 2004, May – Nursery News. “Changes in The Rose World”. Current changes and trends in The Wholesale Rose Market. 2003, Nov. – American Nurseryman. “The Three S’s” Ways for Independent Garden Centers to survive in a box store world. 2003, May – American Nurseryman. Our nursery was profiled. 1992-1994 – Monthly Novice Corner in “The Rose Reporter” The Gold Medal winning publication of The Tinseltown Rose Society. 1992-1998 – “The Rose Reporter” Numerous articles including several Award Of Merit Winners.